Are you looking for a good book? Then you’ve come to the right place! The July staff reading list, compiled from all our library employees, is posted on our Books/Movies/Music page. The books are separated by Fiction, Mysteries and Suspense, Nonfiction, and Biography/History. Here are some books and authors that caught my eye, among the many listed. 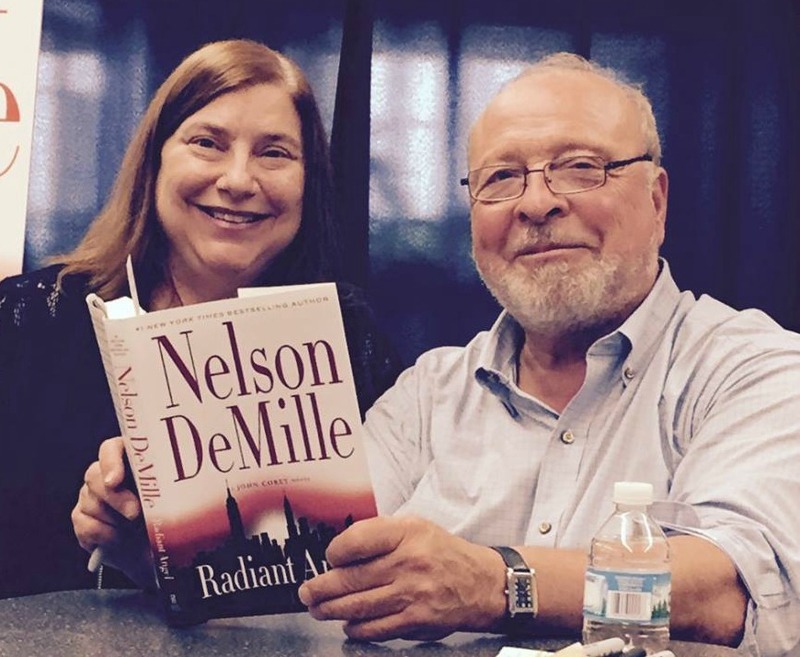 Nelson DeMille: I was so thrilled to meet this great suspense author recently when he appeared at an authors’ event hosted by Vernon Area Public Library District and supported by Cook Library. He is smart (he belongs to Mensa!) and charming. The Fiction Department decided to read DeMille for its most recent genre study, so you will see several of his books on the Mysteries and Suspense list. Some staffers read books from his John Corey series, including the latest, Radiant Angel. I chose one of his older books, The Gold Coast, which imagines what happens when a mobster moves into a high society neighborhood. I gave it 4 stars out of 5 on Goodreads. Another Visiting Author: Several staffers really enjoyed Annie Barrows’ new book, The Truth According to Us. Barrows, who co-wrote The Guernsey Literary and Potato Peel Pie Society with her aunt, visited Cook Library last month to talk about her new book, which was inspired by family stories she heard growing up. Staffers gave the book 4 stars on Goodreads. And this is just a glimpse of what we are reading. Happy book hunting!